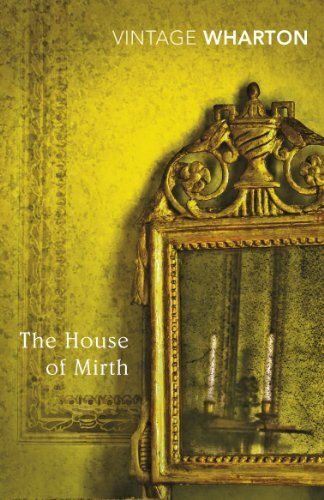 "The heart of the wise is in the house of mourning; but the heart of fools is in the house of mirth," warns Ecclesiastes 7:4, and so does the novel by Edith Wharton that takes its title from this call to heed. New York at the turn of the century was a time of opulence and frivolity for those who could afford it. 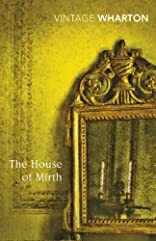 But for those who couldn't and yet wanted desperately to keep up with the whirlwind, like Wharton's charming Lily Bart, it was something else altogether: a gilded cage rather than the Gilded Age. One of Wharton's earliest descriptions of her heroine, in the library of her bachelor friend and sometime suitor Lawrence Selden, indicates that she appears "as though she were a captured dryad subdued to the conventions of the drawing room." Indeed, herein lies Lily's problem. She has, we're told, "been brought up to be ornamental," and yet her spirit is larger than what this ancillary role requires. By today's standards she would be nothing more than a mild rebel, but in the era into which Wharton drops her unmercifully, this tiny spark of character, combined with numerous assaults by vicious society women and bad luck, ultimately renders Lily persona non grata. Her own ambivalence about her position serves to open the door to disaster: several times she is on the verge of "good" marriage and squanders it at the last moment, unwilling to play by the rules of a society that produces, as she calls them, "poor, miserable, marriageable girls. About Edith Wharton (Author) : Edith Wharton is a published author of children's books and young adult books. Some of the published credits of Edith Wharton include House of Mirth, Age of Innocence the, Ethan Frome (Unabridged).